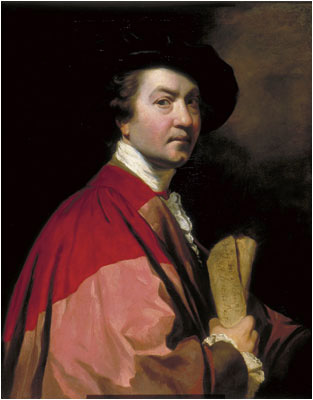 Today marks the anniversary of the death of Sir Joshua Reynolds who is, as regular visitors know, my absolute favourite artist. Reynolds and his works have featured here at the Guide a number of times. It is my pleasure to present to you a digest of those posts; I hope you will find something to interest you! An investigation of a painting of a unknown child. A painting of three ladies, each looking for a husband! A most unusual portrait of a child. Thanks for this. As I'm sure you know, there's a fine collection of his paintings at Kenwood House, alongside Rembrandt, Gainsborough etc. I think a trip is in order! ...and wonderful Reynolds at Port Eliot. The Eliots were both friends and Patrons to Sir Joshua. He was one of those Georgians I would have loved to meet. One of my dream Georgians too!